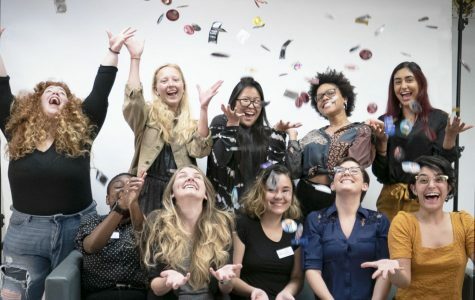 The group does more than just hand out condoms — it also teaches students about mental and physical health. The university is the first school in the U.S. to feature the course. Sexual Assault Awareness Week began with the planting of hundreds of blue and black flags outside of the Breezeway. 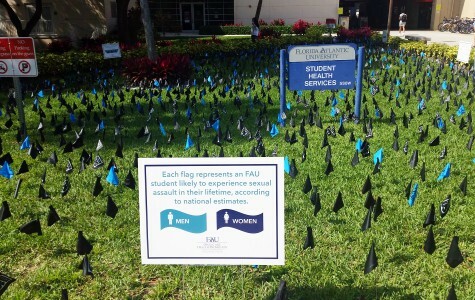 These flags, planted by Owls Care Health Promotion, represent Florida Atlantic students likely to experience sexual assault in their lifetime, with the blue flags representing males and the black flags representing females. One in five women, and 1 in 16 men are sexually assaulted while in college, according to the National Sexual Violence Resource Center. The center also reported that more than 90 percent of sexual assault victims on college campuses do not report the assault. The advertising around campus bears the national logo, “It’s On Us.” This campaign was launched by the White House Task Force in April of 2014 to change campus culture and engage more men in prevention efforts.